Smart meters are utility meters which can monitor energy consumption in real-time and automatically send electronic meter readings to providers. Installations and adoption rates are a growing global trend in the utilities industry. 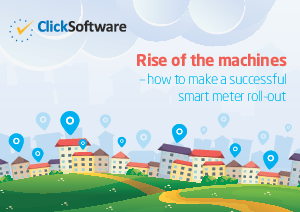 In the United States, one third of the households already have smart meters, while in the United Kingdom, the Government’s plan is to ensure smart meters are offered to all customers by autumn 20152. By 2020, it is expected that Europe will have achieved 80% coverage and global reach will be 55%. Download this e-book to explore the challenges in this large-scale roll-out and read some insights on how to overcome them.